News has just come to hand that Finding the Forgotten God has been shortlisted for the Ashton Wylie Charitable Trust Book Award for 2015. This is an annual award for New Zealand writers which recognizes excellence for a published book in the Mind Body Spirit genre. The AWCT defines the primary aim of literature in this genre as �assisting in the education and further enlightenment of humanity.� Entries may be fiction, non-fiction or poetry. 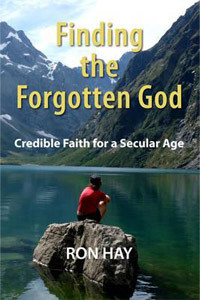 Finding the Forgotten God is one of six books shortlisted and the winner will be announced at an award ceremony in Auckland on August 14th. Congratulations on your win, Ron. Your book immediately stood out for me amongst the contenders, and I am really looking forward to reading it. May you have every success with your book.